Your feet have the sole responsibility of orientating your swing and generating a full hip turn around a fixed leg. Even a slight postural misalignment can dramatically affect your swing and control over that vital drive or putt. 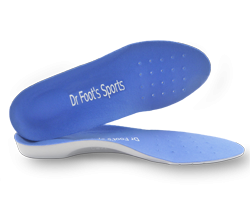 Dr Foot Golf Insoles allow a golfer’s body to establish a better point of contact with the ground when executing a golf swing. They will also stabilize your feet, evenly redistribute weight and correct your entire body posture during the golf swing. 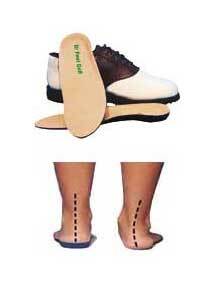 Research suggests that Insoles can help golfers improve balance, hit the ball harder and obtain a lower golf score. These unique insoles prevent and treat a variety of painful injuries that can affect your concentration and ultimately your golfing handicap. Bringing painful knees, legs, feet or an aching lower back to the fairway can prevent you from playing to the best of your golfing potential! At Dr Foot we understand how important balance and stability are to technique. And how they have a direct bearing on the two most elusive aspects of many golfers’ games, control and distance. Besides stabilizing your feet during your swing, Dr Foot Golf Insoles make your feet more comfortable and your legs less prone to fatigue. And you know how critical that can be during one of those five-hour rounds. 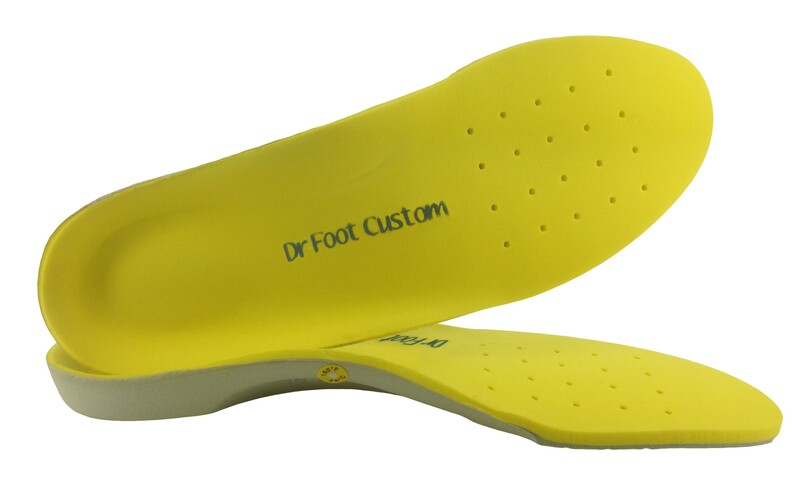 Dr Foot Golf Insoles control excess pronation and significantly reduce the shearing and stretching forces which can cause heel pain, foot pain, knee pain, shin pain, hip pain and lower back pain. This is why runners and golfers have found these insoles to be so effective. Designed to be worn in golf shoes and normal working shoes. Made of flexible E.V.A with a supportive poron heel cushion. 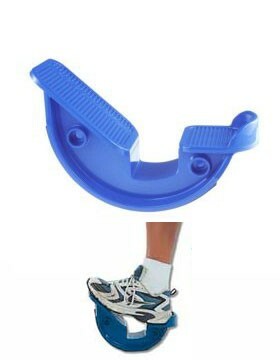 Features a built in 4 degree medial posting which is active in the correction of foot and ankle alignment. The design also absorbs and dissipates the jarring shocks of heel strike that can cause fatigue and cumulative trauma to the joints of the feet, legs and lower back. Dr Foot Golf insoles are resilient and therefore will not “Bottom out” or compress. No sweat synthetic suede cover with fore foot ventilation. The insoles are unisex and are available in three sizes, Small (shoe size 4-6), Medium (shoe size 7-8), Large (9-10). The insoles are durable and are designed to last approximately 12-14 months.